Nickolas Kenneth Simkins age 39 passed away on Saturday, August 18, 2018. He was born on August 9, 1979 in St. George, Utah to Kenneth Morris and DiAnn Hall Simkins. He is the older brother of Jodi Simkins. Nick married Tiauna Rowley on March 10, 2000 in the St. George LDS Temple (later divorced) and they raised two children together. Tayler Tiauna age 16 and Kolby Keith age 13. He married Rachelle “Shelly” Robinson on March 5, 2007 (later divorced). Nick grew up in St. George, Utah where he spent most of his time working on anything with wheels. He loved Semi Trucks and anything that went fast. He had many great friends throughout his life that he called family. His greatest joy were his kids and he was always very proud of both of them. 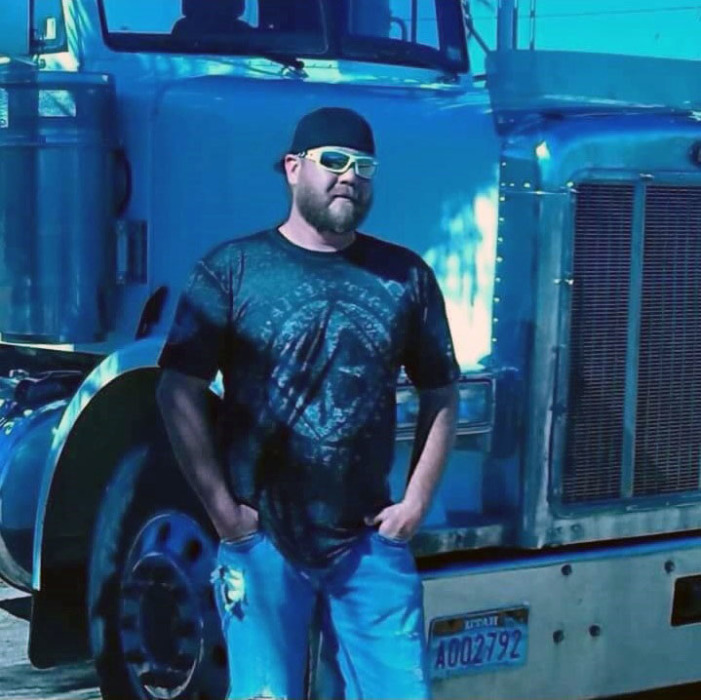 Nick is survived by his children, Tayler and Kolby Simkins along with his parents, Ken and DiAnn Simkins and his sister Jodi Simkins all of St. George, Utah. He is preceded in death by his grandparents; Keith and Wazel Hall and Morris and Violet Simkins. Special thanks to the many countless friends and family members who have supported the family at this time. Funeral Services will be held on Saturday, August 25, 2018 at 11am with a family visitation at 10am at the LDS Chapel 550 E 700 S St. George Utah Internment will take place at the Enterprise Cemetery in Enterprise Utah.